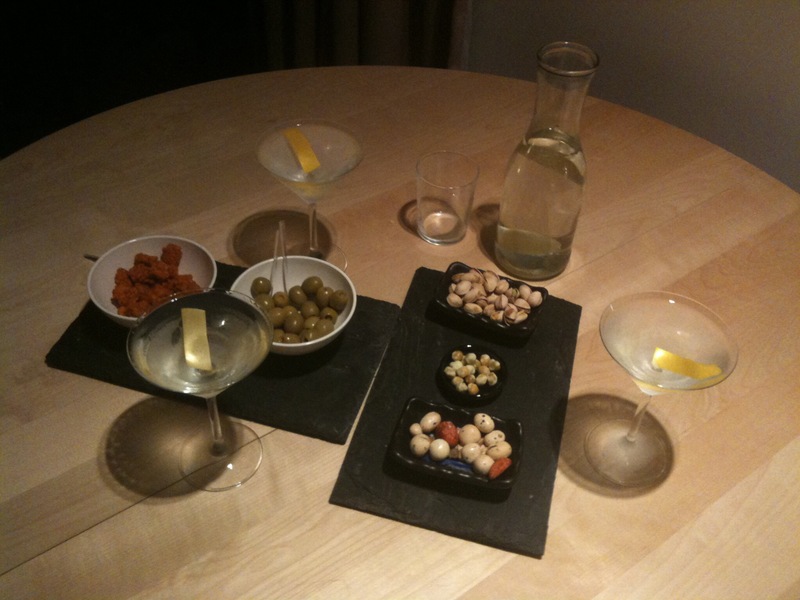 Martinis should ideally be served with snacks to compliment the strong, icy flavour of the drink. 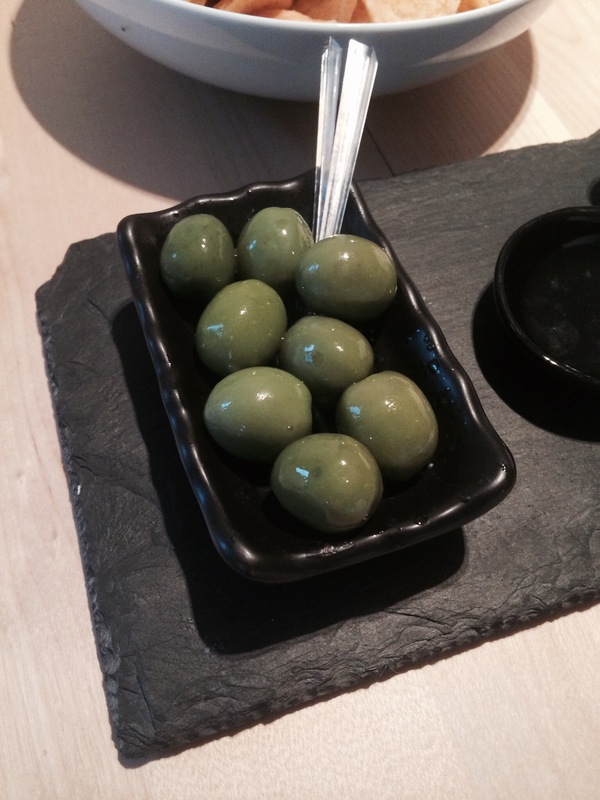 Olives are always a winner, and there are so many varieties to enjoy. 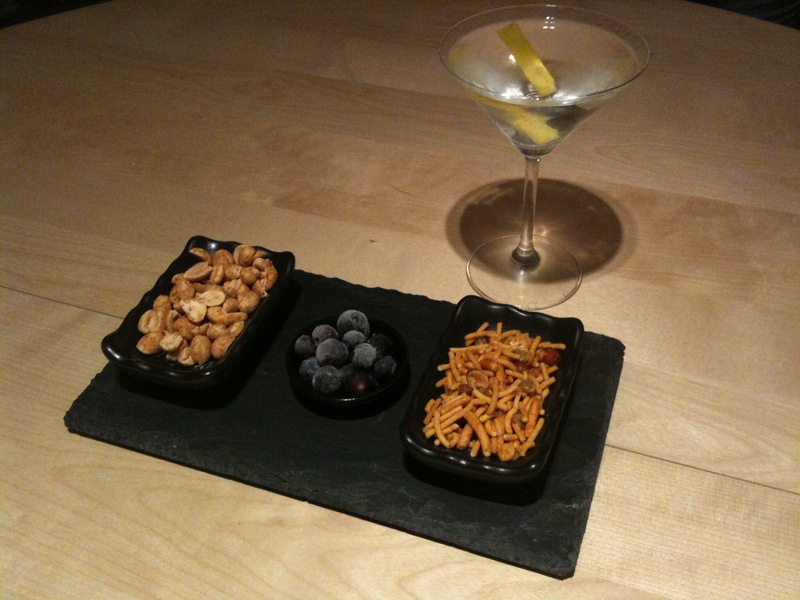 Nuts are also good, as the saltiness goes so well with the martini. 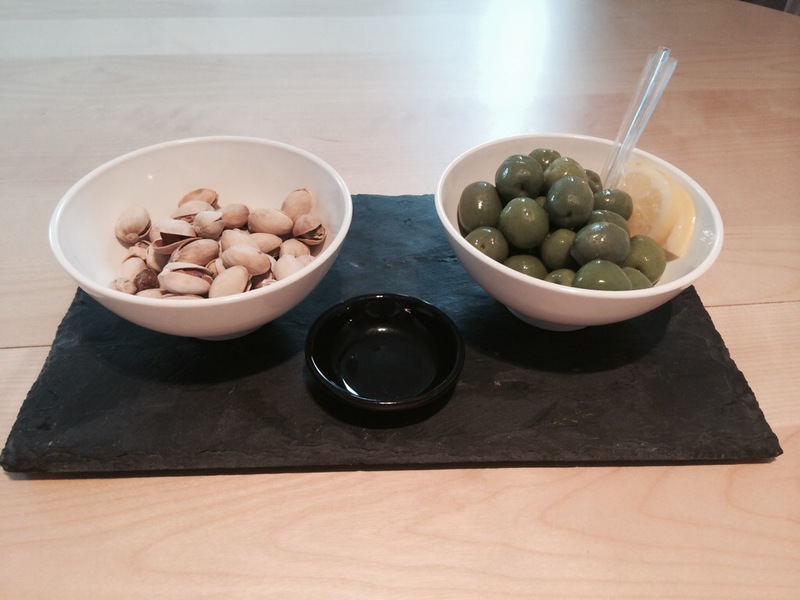 I like salted pistachios in their shells most of all. 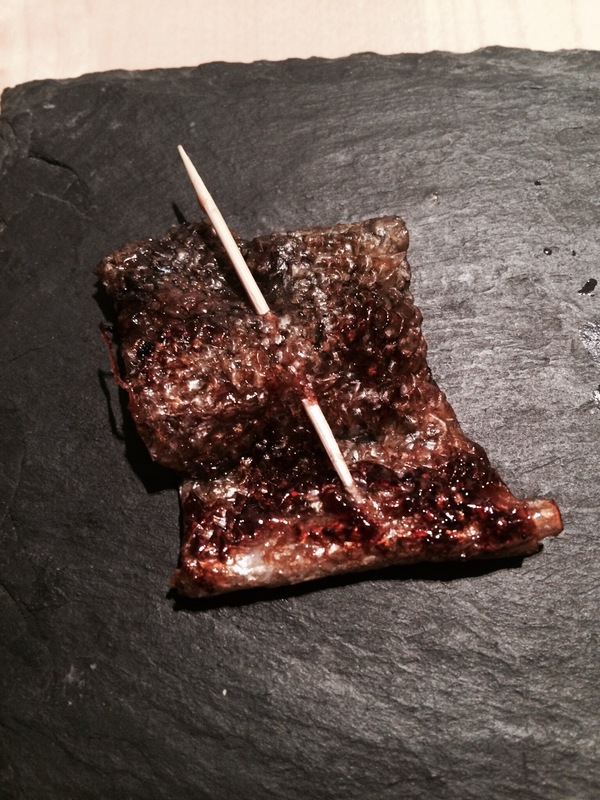 Japanese seaweed snacks work very well. 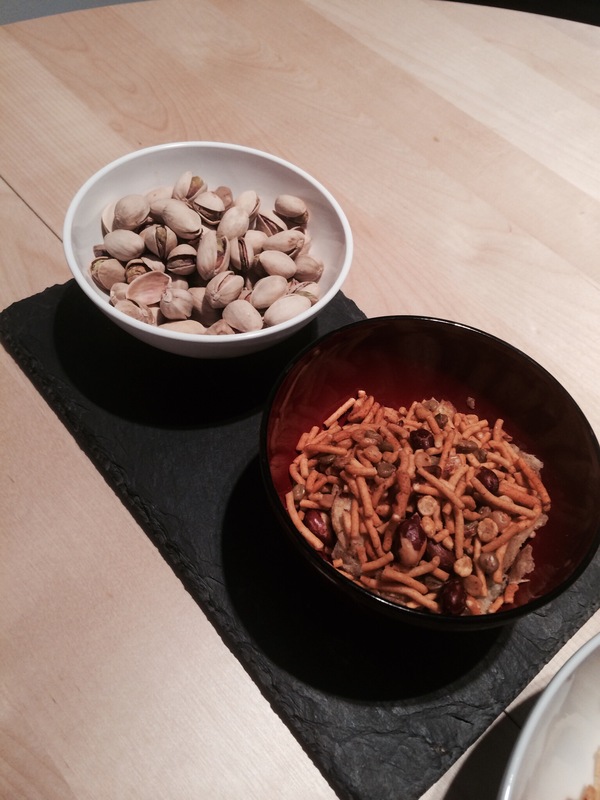 Bombay mix is a classic. Miniature rice cracker snacks with lots of chemical flavours, additives and MSG also usually do the trick, but natural food is so much more refreshing. 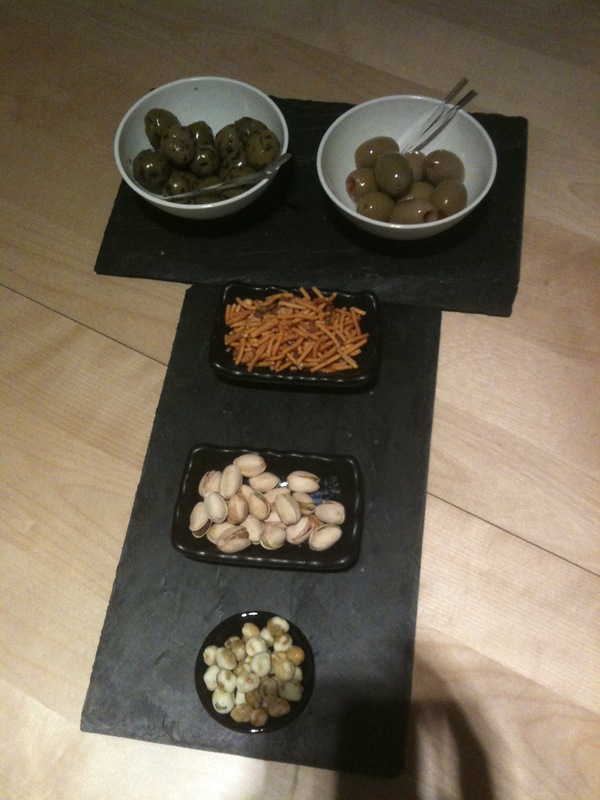 Inspired by Polish drinking culture I often like to serve sliced gherkins as a tasty accompaniment. You can’t go wrong with good quality crisps, but go easy on them for your waistline. 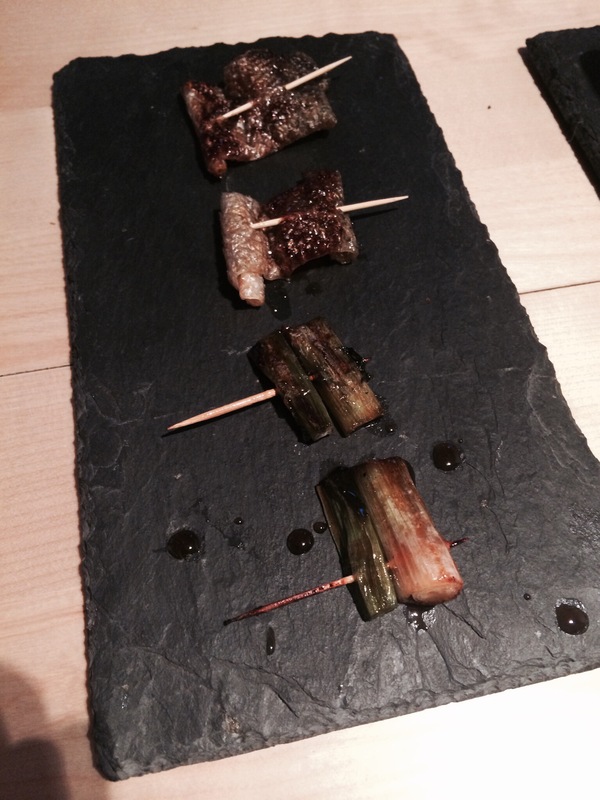 Small bites that you might otherwise serve as a starter work well if you’re feeling fancy. 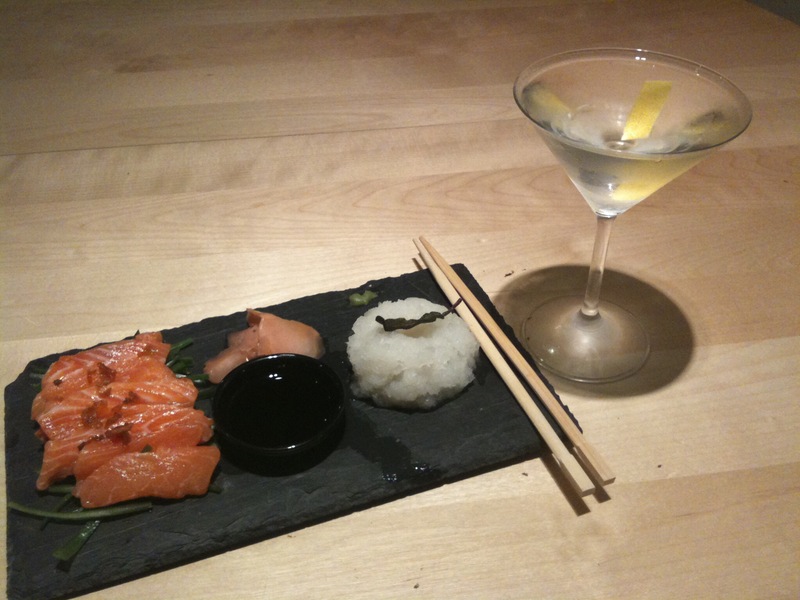 I like to keep the martini ceremony simple and relaxed but if you want to make an impression you could serve all manner of home prepared dishes, such as grilled skewers, sushi, sashimi (any fresh seafood actually), blinis etc. To be honest, it’s still a big experiment for me. As I said, I like it to be simple so I can relax and actually enjoy the drink, but you should be able to try out all sorts of things. 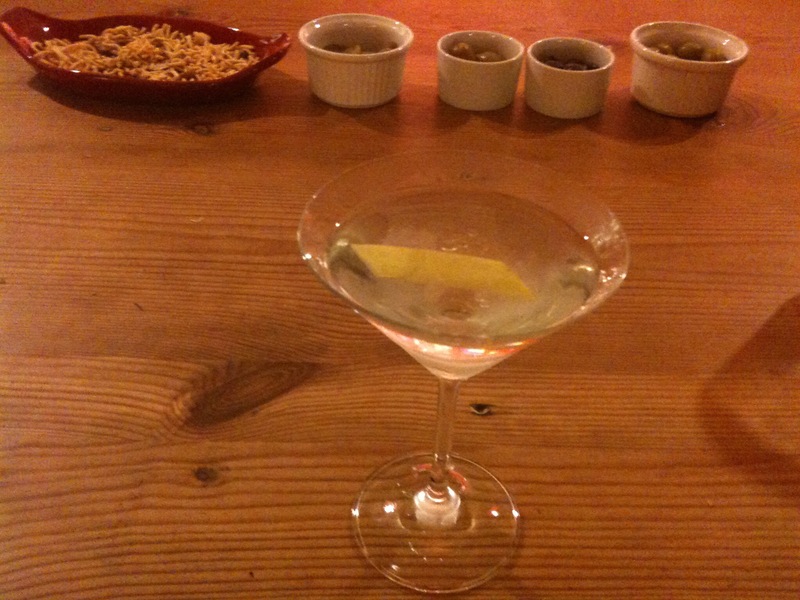 It will also likely depend on your expected company, which is another key element of the perfect martini. 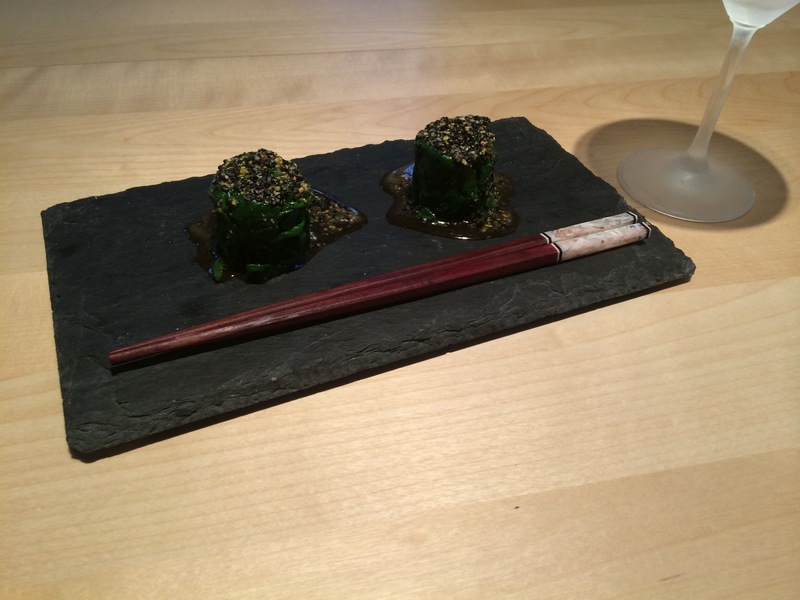 This entry was posted in How to make a martini and tagged bites, food, snacks, 居酒屋 by themartinidiary. Bookmark the permalink.